Myself When Young is Daphne du Maurier’s account of her early life, starting with some of her earliest childhood memories and ending with her wedding in 1932. Originally published in 1977 under the title Growing Pains: The Shaping of a Writer, the book was partially based on the diaries du Maurier kept from 1920 to 1932. Daphne du Maurier is a wonderful writer, so it’s not surprising that this book is as compelling as any of her novels. In addition to the writing, one of the things that makes Myself When Young so gripping is the time period the events described take place in: I just love early twentieth century stuff, and I was particularly interested in Daphne du Maurier’s memories of WWI. She captures a child’s perspective very well, and I included an especially hilarious passage at the end of this post. I know that WWI was anything but funny, and we get the other side too: the bombings and the fear and the news about relatives who had been killed. But all the same, I loved seeing things through the eyes of a young and relatively sheltered child. But the nurse, whose name was Nurse Rush and who had replaced the much-loved nanny – we were not told why – contented herself with a snub. I thought for a moment, then poked once more at the porridge. Who was Don’t Care, I wondered? Not a poor child. No, he sounded more like a little old man, rather tubby, who lived alone in a hut, and then some cruel people came and put him in this great black pot and hung it over a fire, which made a sizzling noise. Poor Don’t Care…Did he scream? Or did some nice person come and rescue him? What happened next? But they never told you. Grown-ups started something interesting and would not finish. If you asked they said, ‘That will do now,’ which was the end of it. Of course, this is an older Daphne du Maurier’s reconstruction of a child’s thoughts. But accuracy aside, it works wonderfully, and that’s what matters the most. Most of the book is actually devoted to her adolescence and early twenties: her time at finishing school in Paris, her crush on one of the teachers there, Mademoiselle Yvob, her trips to Normandy and Switzerland, her not-quite-a-love-affair with an older cousin, her development as a writer, and the beginning of her life-long love for Cornwall and the sea. A lot of the problems du Maurier faces are, to put it kindly, a privileged girl’s problems. However, the fact that she seems to be aware of this keeps her anguish from ever becoming irritating, and furthermore it makes it hard for the reader not to take her seriously. From early on, one of du Maurier’s goals was to break free from her reliance on her well-to-do family and find a way to support herself through her writing. She believed that only then would she truly become independent, which was probably not too common a mindset for an upper-class girl in the late 1920’s and early 30’s. And her marriage at the end of the book doesn’t put an end to her desire to always be in control of her life. Myself When Young is written with humour and insight, and it was a complete joy to read. I realize it only gave me a brief glimpse into the life of this fascinating woman, but short though it was, it was satisfying. And plus it made me want to learn more: her travelogue Vanishing Cornwall sounds particularly appealing. One day Angela told me that she had overheard someone tell Nurse Netta that in wartime everyone made eyes at the soldiers. ‘What does it mean, making eyes?’ I asked her. ‘I think it’s like this,’ Angela said, looking sideways out of the corner of her eyes. We practiced this awhile, and afterwards, when we were walking in Regent’s Park, and saw soldiers coming towards us, we used to stare at them sideways, in a squinting sort of way, smiling at the same time. Angela said it was patriotic. But I don’t think they noticed, which was disappointing. Who can ever affirm, or deny, that the houses which have sheltered us as children, as adults, and our predecessors too, do not have embedded in their walls, one with the dust and cobwebs, one with the overlay of fresh wallpaper and paint, the imprint of what-has-been, the suffering, the joy? We are all ghosts of yesterday, and the phantom of tomorrow waits us alike in sunshine or in shadow, dimly perceived at times, never entirely lost. This looks interesting but doesn't look like something I'd normally read. Would you recommend it to someone who doesn't normally read such books? I really want to read this - I like knowing how writers grew into writing. Ever since I gave in to the RIP Challenge, I've been trying to make all the books I want to read fit into that - right now I'm all, Well she wrote Gothic books! That is like being Gothic her own self! Thanks for the link. I'm so glad you enjoyed this one. I think it's one of the best autobiographical books I've read. Some of them can be so dry but this one was so full of zest for life. Loved it and am so pleased you did too. Elena, I'd say yes, especially because *I'm* someone who doesn't normally read books like this :P I tend to shy away from memoirs, but I figured that someone like du Maurier had to be interesting to read about. Jenny: I like your reasoning! Cath, thank you again for recommending this! You're right - it wasn't dry for a moment. Andreea: It was only last year that I read her for the first time, but I fell in love with her writing. For years I have shied away from Daphne du Maurier, but I'm finally taking the plunge and reading Rebecca for RIP. Maybe afterwards I'll want to read more, and eventually this one, too, but I'd like to know her writing better first. While I have only read Rebecca so far, I am truly fascinated by DuMaurier's writing style. I would be very interested in reading this book about her early life. I have only read The Glassblowers (racy to the then-me, set during the French Revolution) and seen the movie of Rebecca, but this makes me want to learn more about Ms. duMaurier. Especially liked the final quote. Thank you for this! I absolutely enjoy autobiographies if I have some sort of connection with the person (loved Clapton!). I have yet to read Du Maurier, but have two of her books on my shelf for RIP. After I read those and undoubtably love them, I will hunt this one down. "Don't Care" reminds me of Pierre: A Cautionary Tale by Maurice Sendak. Did you ever read it? Great story! My best friend absolutely loves Daphne Du Maurier and has been on at me to read one of her books for ages. I always thought her books were romances and was pleasantly surprised to read they were quite dark. So I shall begin my Daphne quest with Jamaica Inn. I too tend to steer clear of memoirs, though I do make some exceptions, particularly for strong female personalities and authors. So this sounds very interesting. Great review, thanks. And you know what. I can't believe I forgot to put Rebecca on my RIP list! Doh. As you know, she totally became one of my favorite short story writers of all times during RIP last year. This sounds right up my alley, since I love memoirs. I can just picture 2 young girls "making eye's" at the soldiers. This is definitely an addition to my wishlist. I love memoirs written by people who lived in the past, particularly when they are favorite authors of mine. And I laughed at the first passage! How cute. 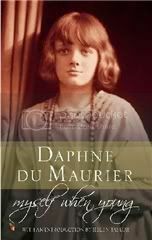 I have to admit that I haven't read much du Maurier, but I really liked this review and think that I would also like the book. I really liked the excerpts you quoted and think it sounds quite funny. Another to add to the wish list. Great review! I love memoirs, and (like you) I love the period she's writing about. This will be on my tbr pile very soon, I'm sure! I've been impressed with the works of hers that I've read, and certainly have more to read, and this sounds like a wonderful addition to the pile of du Maurier stuff I have left to get to. As always Nymeth, you have a way with words that makes me want to say, 'budget be damned' and rush off to the bookstore! Thank God for a well stocked library!!! I hardly read memoirs, but this one sounds like a winner to me. I've Rebecca in my pile and I know it has received many good reviews... I can't wait to read it. I didn't know this existed! I'm with you..I love reading about this time period. I love sitting down with my grandma and letting her tell me stories about growing up in the 1920's. It's like a different world. Her face explodes in joy when she talks about it. Even despite the wars and the depression it just seemed like a simpler and happier time. Back to du Maurier, I've only read one of her books and she's already become a favorite author. I hope to read more this year for RIP! I love memoirs and this is just something I'd like pick up. Thanks for the review, Ana! This book really sounds good. But I've read only Rebecca by her, so I'll probably read a couple of more books before jumping to this. That’s just the way I prefer it. But I'll keep it in mind. This sounds like a good memoir, I like the cover. 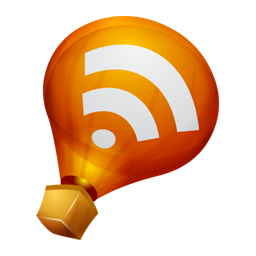 I'm relatively new to the blogosphere...found your blog and love it. Great to have recommendations for books I wouldn't have otherwise thought of/known about. I read Rebecca SO many years ago-and though it's come to mind now and then, I've not remembered to pick it up again. Nor have I read any of her other books, and I am now inspired to go back and read her. This definitely is on my list! Thank you so much! Amanda: You know, I did too, and I don't even know why. She's well worth reading, though! Molly: I really loved the writing in Rebecca too - so much more than I expected to. Sandy: Yes, I most definitely need to know something about the person to be interested in a biography too. I look forward to seeing what you think of your Du Maurier RIP choices! rhapsodyinbooks: No! All I've read by Sendak is Where the Wild Things Are. Must chance that! Mariel: She definitely deserves an exception! Debi: lol, isn't it a hilarious bit? :D And yes Debi read Rebecca! Meghan, I hope you enjoy it as much as I did! Zibilee: I've only read four of her books myself, but it was enough to convince me that she's an extraordinary writer - definitely deserving of her enduring popularity. teabird: Then you'll love this for sure! Carl: Aww, thank you! And I envy you your well stocked library! Melody: I don't often read them either, but there's no saying no to du Maurier! Alice, I hope you enjoy it! Violet: Which one are you thinking of picking up next? My second was Jamaica Inn - I didn't think it was quite as good as Rebecca, but I still thought it was great. Darla: Me too. Writers are just so interesting to read about for some reason. Lynda and Naida, I'm glad you like the sound of it! I don't really read many memoirs either but this sounds interesting. I've only read Rebecca but would like to read more by her. There are just too many books, aren't there? Yikes Nymeth, you are adding to my TBR at an alarming rate! This sounds too good to pass up!